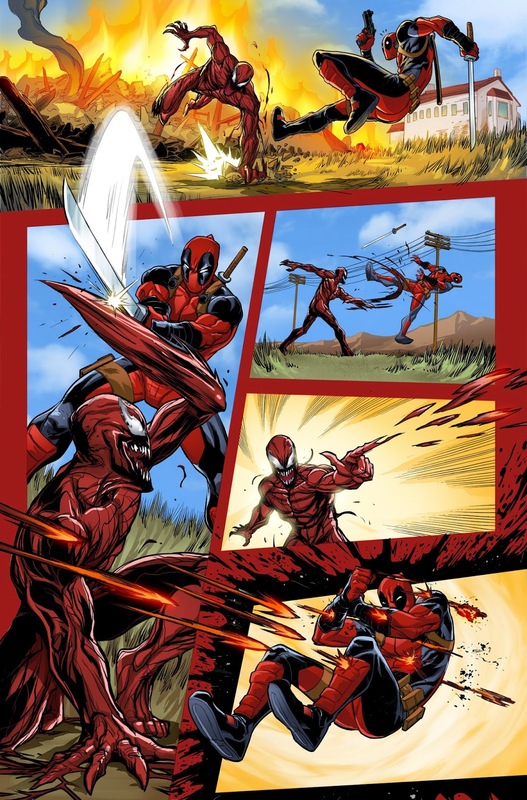 Marvel has provided the following preview of Deadpool vs Carnage #1. 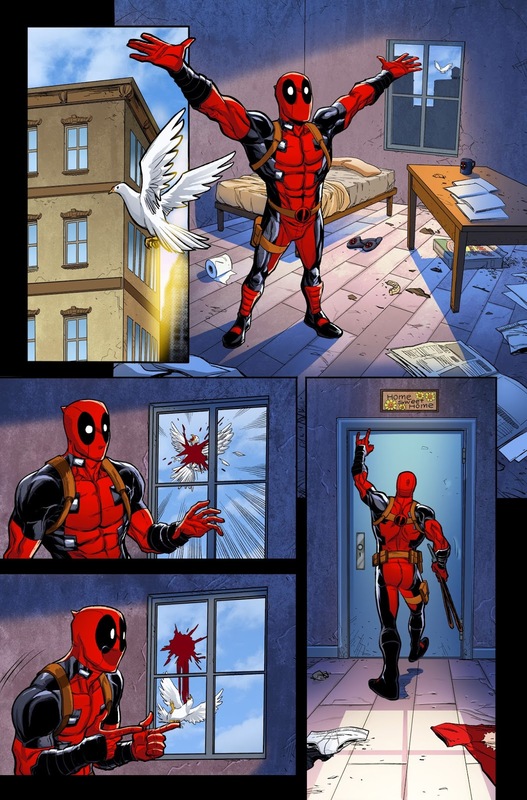 Two Red-Suited Madmen Clash in DEADPOOL VS. CARNAGE #1! This March, two crimson crazies collide in DEADPOOL VS. CARNAGE #1 – the bombastic new limited series from New York Times Bestselling writer Cullen Bunn (Deadpool Kills the Marvel Universe, Night of the Living Deadpool) and fan-favorite artist Salva Espin (Deadpool Kills Deadpool)! 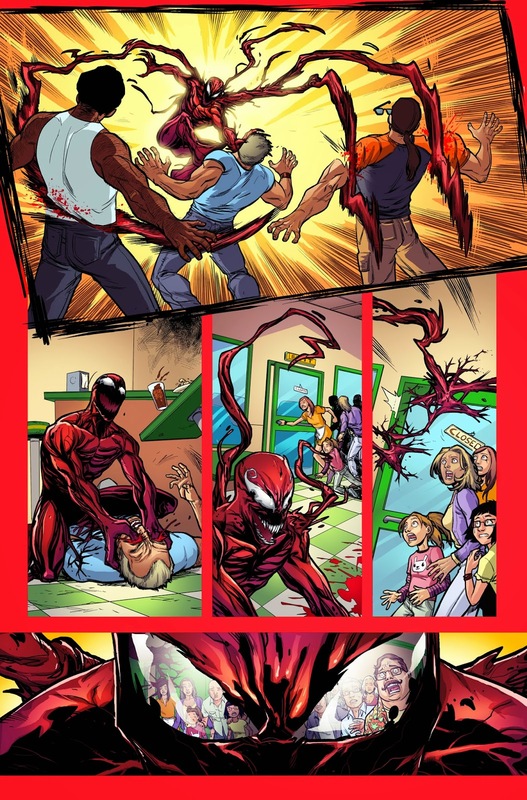 Carnage is on the warpath – moving across the country, butchering as he goes! The authorities are powerless. So how do you stop a psycho? Bring in another psycho! And you can bet this one is gonna be bloody! Don’t miss one minute of the blood-soaked chaos this April as the Merc with a Mouth tussles with the Symbiote Serial Killer in DEADPOOL VS. CARNAGE #1!